Between 2008 and 2014, five separate archaeological excavations took place at the Hardisty Bison Pound and its associated campsite. 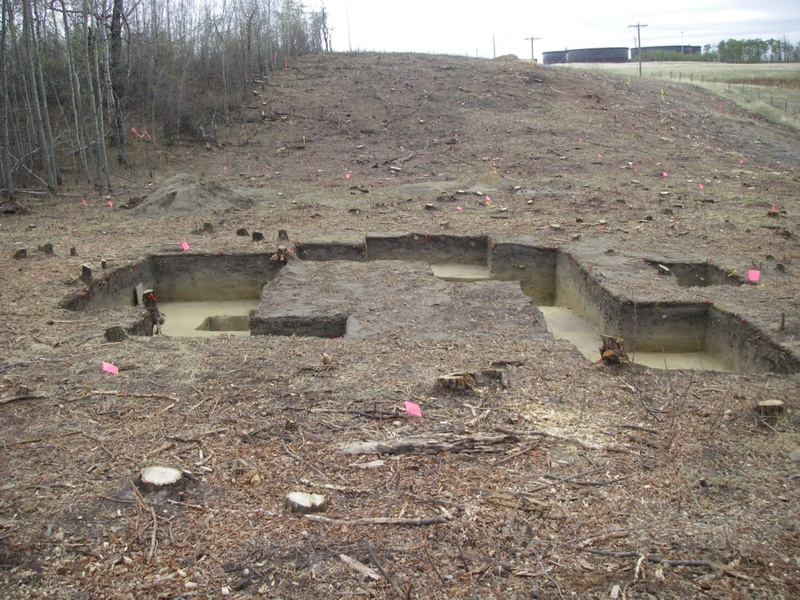 These two sites, located across the Battle River from the town of Hardisty, were excavated in response to developments that took place during facility expansions at the Hardisty Terminal. Bison pounds are a form of communal hunting common on the Plains. They are characterised by a wooden corral with hides draped over the edge. Bison would have been herded into the fenced enclosure to be slaughtered for consumption by the community using the pound. The landforms surrounding the Hardisty Bison pound share distinct features that would have been essential to many communal kills. Many of these features have been introduced in past RETROactive posts, in particular Mike Donnelly and Todd Kristensen’s post on Head-Smashed-In. 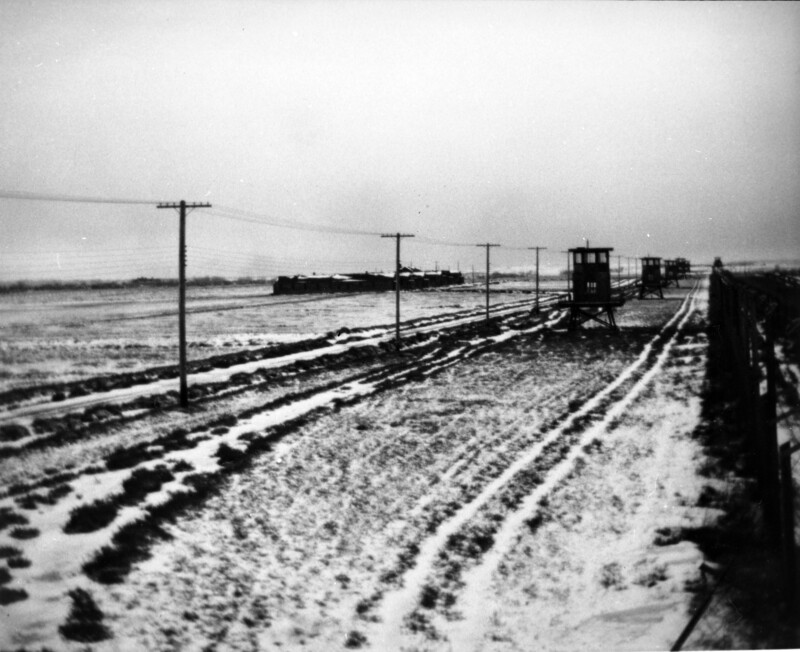 Most notably, the Battle River valley and the hills surrounding the Hardisty Bison Pound combined to form a funnel that would have acted to concentrate bison herds close to the current location of the terminal. With the addition of drive lanes and buffalo runners luring bison into the trap, these herds would have been driven quite easily into the pound, both to feed people living in the area as well as for production of meat and hide products to trade with people further east in what is now Manitoba and North and South Dakota. Excavation Block from 2009 excavation at the Hardisty Bison Pound. The pound is located on the far side of the block at the toe of the small hill in the background (Photo Credit: Matthew Moors, FMA Heritage Inc., Permit 09-020). 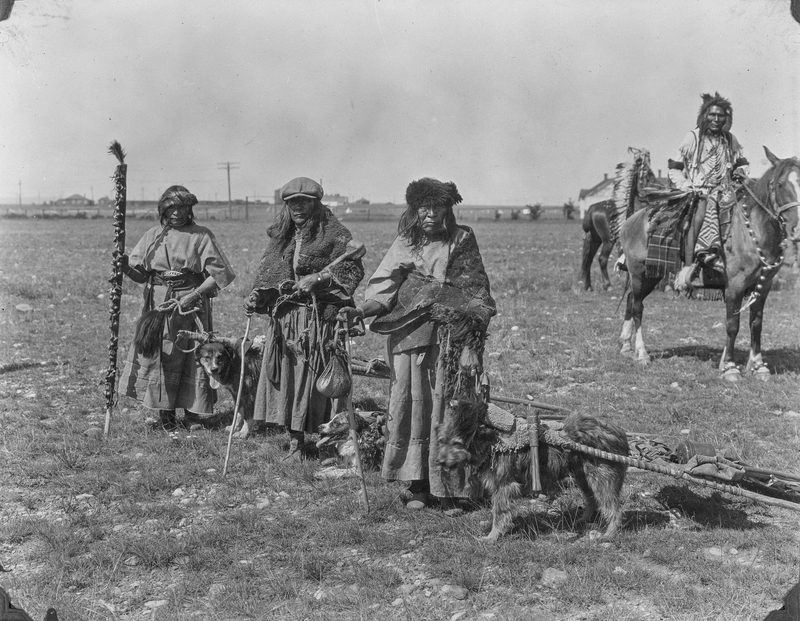 Peigan women with dog travois (Photo Credit: Provincial Archives of Alberta, A5463). November 13 – 18 marks the annual Métis Week celebrations. Each year, the Métis Nation of Alberta hosts events around the province to commemorate not only Riel’s uniquely complicated and heroic legacy, but the outstanding contributions of Métis people to Canada. November 16, the date Riel was executed, will be an especially significant remembrance. During November 2017, Canada commemorates the centennial anniversary of the Battle of Passchendaele, also known as the Third Battle of Ypres. It was the third and last major battle victory during 1917, after Vimy Ridge and Hill 70, for the combined Canadian Divisions fighting together as a Corps. On September 1, 1939, the Second World War began and Canadians responded with more than one million of its men and women enlisting in the military. Many were sent overseas, and stories of the courageousness of Canadians on the battlefront emerged. This war is known for uniting the country and forging its own national identity, but a lesser known aspect from this period takes place at home. In a significant reaction to the war, internment camps were established and Canada detained citizens of its own country, discriminating against members of German, Japanese and Italian communities. In addition, Canada had an active part in accepting German prisoners of war who were captured in active duty. This blog post will look at the establishment of prisoner of war and internment camps in Alberta, and briefly at the people who were detained, and the life they experienced. View of guard towers at the POW camp in Medicine Hat, c.1948 (Image courtesy of Esplanade Archives, 0590.0017).